When a politician, someone from a trade body or anyone else with a vested interest fails to tell the public the truth about how well an industry is actually doing, they are not only doing themselves a disservice, but are damaging the prospects of that industry. They are also deceiving the public, who often have no in-depth knowledge of the industry in question and have to take what they’re told at face value. Let’s take offshore wind as an example. When people talk about sectors such as offshore wind being “a true Scottish success story” they are either extremely badly informed or are simply hoping that because the public knows the wind farm is in Scottish waters, they will believe it must be Scottish, and that includes the technology. They’re not, of course. The core critical technologies – the turbines – will be either Danish or German. We regularly hear phrases bandied about such as “Scotland is a global leader in offshore wind” and one politician even said during a recent debate that “floating wind was developed in Scotland”. We’re certainly global leaders in “hosting” offshore wind but we most certainly didn’t develop it and we’re categorically not manufacturing the sector critical technology. To be clear, we actually could build wind turbines in Scotland. I know of at least one company that could build the generators and others who could build the gearboxes. But who would invest in making it happen? 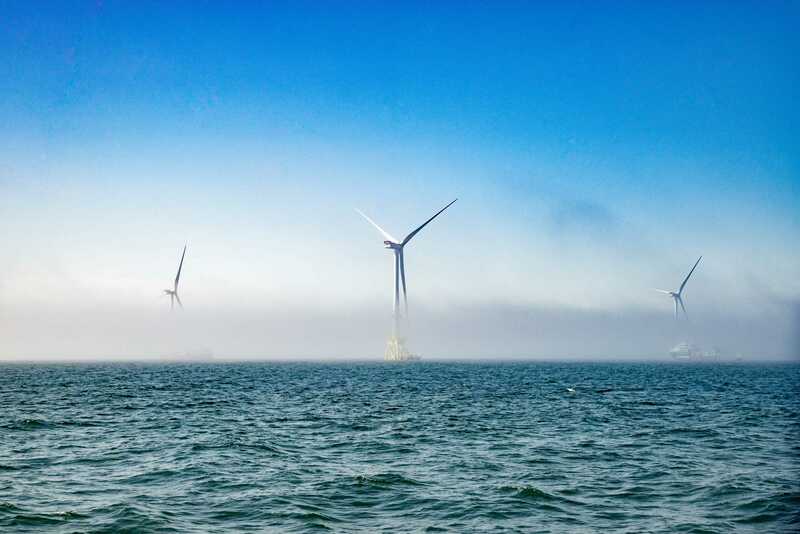 We also get excited by the development of projects such as “Batwind”, which involves the use of a 1MWh battery-based energy system designed to mitigate intermittency and optimise output from the Hywind offshore floating wind farm. Sadly, the main supplier for this is Younicos, a German-American technology company that specialises in manufacturing energy storage systems. There’s nothing Scottish about it. There could have been. There’s at least one battery system builder in Caithness. But again, who would support such a development financially? A video appeared recently during an offshore wind conference showing the sort of small but high speed wind farm support vessels likely to be used offshore in Scotland. This very capable vessel, the Sea Puffin 1, was actually built in Denmark. That was not mentioned, because it might have spoiled the story. We don’t, for reasons I frankly failed to understand, build vessels like this, but why not say so? Scottish waters was manufactured in Scotland by a Scottish firm. One of those companies has recently been funded to test a battery storage system similar to the Batwind project, albeit on a considerably smaller scale. It’s using a Tesla battery pack and this was promoted as a good thing. Those packs are, of course, not made in Scotland. Apparently it could have used a Scottish system but it may have needed additional funds. So why didn’t Scottish Enterprise help sort that problem? Surely it would have been in the national interest. We’re building a Scottish electric vehicle charging network. Not one of those chargers was manufactured in Scotland. They probably could have been but nobody seemed to want to put in the effort to make it happen. So this network won’t be Scottish at all. Why exactly is this all happening. What’s with the spin merchants who feel they have to deceive the people? I’ve taken this up with Scottish Renewables a few times. Their answer is always that Scottish companies are heavily involved in sectors such as offshore wind. They’re right in that there are companies providing services such as seabed surveys, environmental assessments and inspections. While this and other activities are important they are nothing compared with the benefits and value of the manufacturing of the turbines themselves. Turbines are the most exportable element of the technology that goes into building a wind farm, whether it’s offshore or not. Their market is as guaranteed as you can get. What we mostly offer is not. MHI Vestas, the Danish company that built the turbines for the European Offshore Wind Deployment Centre In Aberdeen Bay employs some 33,000 people and the German company Siemens, the other major manufacturer, has around 17,000 employees. Their joint turnover is a massive 15 billion euros. So please let’s stop kidding ourselves. It’s the Danes and the Germans who are the real success story and are the global leaders in offshore wind. Cut the spin and we might realise what our weaknesses really are and do something about it. It’s the “happy with the crumbs off the table” mentality and I hate it.